Blog What is your 5G future? I have a lot to say about the New T-Mobile. We have spent so much time talking about 5G and the New T-Mobile and today we’re going a step further. What is your life going to be like with 5G? I’m so excited about this one that I even decided to share my thoughts with a video blog to really bring 5G to life. There is a lot of media coverage, executive chatter, TV advertising, false promises and general noise about 5G right now. There’s also a lot of confusion and frankly some real BS that other guys are trying to peddle about 5G. It’s an incredibly important topic. 5G will be one of – if not THE – most transformative technologies of my lifetime. 5G will unleash a massive new round of innovation WAY beyond what we’ve seen in wireless to date, spurring incredible economic growth. 5G will spur $275 billion in new investment, creating three million new jobs and adding $500 billion to the economy by 2024 (Source: CTIA). In fact, it’s estimated that one out of every 100 Americans will benefit from a new 5G job. The power of 5G will impact not just the mobile wireless industry, but will create new opportunities for innovation and sweeping change across sectors like healthcare, manufacturing, technology, agriculture, transportation, hospitality and countless more. It will be another huge boost of energy to the technology innovation that our country is known for around the world. So, what exactly does that enable? What will it mean for people? 5G is going to unlock things that most of us really can’t even imagine yet. It’s going to fuel the next generation of American innovators and economic growth. There’s been a lot of talk about this, and I’m not sure everyone really knows just how amazing and life-changing it will be. Let me give you some examples of the kinds of things we could see in our everyday lives. 5G Travel: Imagine taking a road trip and seeing information about what’s around you and what’s up ahead displayed on your windshield. Sensors in smart highways sending real-time data to your car, warning of things like ice or accidents, intelligently routing traffic and updating road signs so you get where you want to go faster, and safer. Road surface conditions. Traffic slowdowns. When to brake to safely stop. Wildlife crossings. Tire traction. You name it. And imagine your family seeing information on the passenger windows about what you’re driving past as you go by…. Major landmark? Historical monument? And imagine smart parking lots that know how many spaces are open, so you can reserve a space long before you get to your destination! Never circle for parking again! But this isn’t just for cars. I’m talking any moving vehicle -- buses, tractor-trailers, motorcycles, trains, RVs -- even boats! 5G in emergency situations: Imagine firefighters in a smoke-filled home with little to no visibility. With 5G augmented reality displays on their helmets, they could see where their colleagues are. They can see the floorplan and layout of the home, including where the exits are. And they can see pictures and descriptions of the people they’re working to rescue, whether they’ve been found, and when it’s time to get out. Imagine if people were injured in a car accident and EMTs could consult with trauma experts at the hospital in real time and send data on vital signs during the ambulance ride. 5G making you healthier: With a high-speed wireless network connecting body sensors and even sensors on medicine bottles with medical facilities and experts, you could see greatly improved health outcomes and the true potential of telemedicine unlocked. Patients in rural communities that currently have little to no access to nearby, high-quality medical care and have to travel hundreds of miles just to get a consultation, would have better access to virtual services at their fingertips. 5G in education: Imagine children in underserved areas learning in virtual classrooms or studying side-by-side with remote mentors and tutors. Imagine remotely participating in immersive hands-on learning. What about learning another language, or learning English, by hearing everything translated in real time right into your ear. 5G for fun: Imagine taking a ski lesson and your instructor gives you a specific path to take down a slope. You see the path in your 5G ski goggles and the sensors in your clothes measure your movements and show you how to improve in real-time. 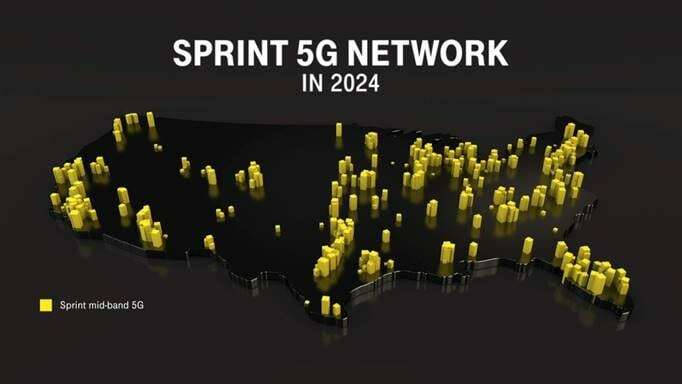 Where is your 5G future? I’ve said this before and I’ll say it again, we are currently stuck with a status quo that is just not working. If we leave it up to AT&T and Verizon, we’ll be stuck with a spotty, thin, incomplete 5G infrastructure for YEARS. We’ve covered this before, but the abysmal, do-as-little-as-possible approach to 5G rollout so far is proof that AT&T and Verizon won’t change unless they are forced to change. You’ve also heard me say that the New T-Mobile is about making sure ALL Americans can benefit from 5G. Not just in a few pockets of cities. 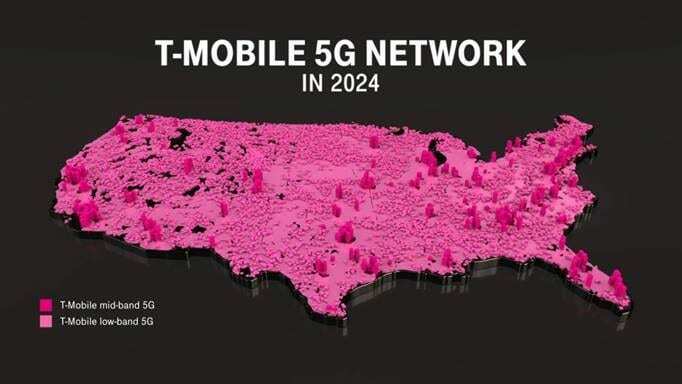 Only the New T-Mobile will have the clear spectrum assets and capital to build a REAL broad and deep nationwide 5G network that delivers a differentiated experience and forces the acceleration of 5G from AT&T and Verizon. And we will be able to do it quickly. Much faster than the pace that AT&T and Verizon are working at now. We believe no one in the US can do this on their own. Not Verizon, not AT&T, not T-Mobile and not Sprint. New T-Mobile will have the highest capacity network in the history of this country, with eight times more total network capacity than T-Mobile and Sprint today. That means 450 Mbps nationwide average download speeds in 2024. Mobile wireless has created massive benefits for the U.S. economy. Overall, the impact of our mobile internet evolution has been unbelievable. In 2018, mobile technologies powered by 4G accounted for 4.6% of global GDP and $3.9 trillion in economic value, according to GSMA data. That’s trillion with a T! Guess what, the rest of the world wants more of those economic benefits. IA). In fact, it’s estimated that one out of every 100 Americans will benefit from a new 5G job. China and other countries are investing hundreds of billions in 5G. They want to be first with broadly available 5G. But don’t take my word for it. Recent reports show that China will invest more than $400 billion in 5G. Other countries are not kidding around. They want the innovation. They want the economic stimulus. I want America to have that innovation, that leadership and the jobs that come from a game-changing technology like 5G. There is a real imperative to move quickly. Enter the New T-Mobile. 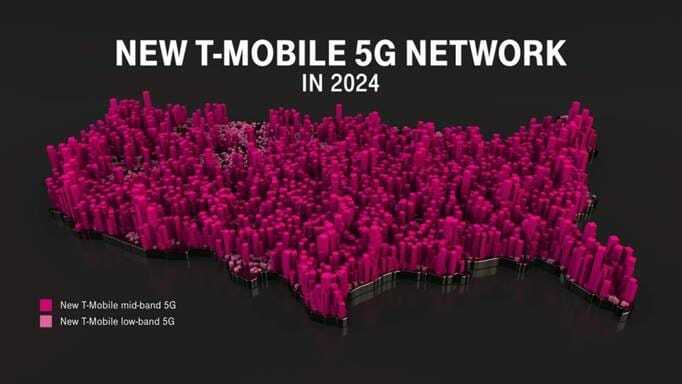 We will bring our Un-carrier disruptive mentality to wireless and beyond, and we are committed to investing $40 billion to deliver the first broad AND deep truly nationwide 5G network – from big cities to rural America. And if history is any guide, when Verizon and AT&T are forced to compete with T-Mobile, consumers win! Our network would fuel innovative new IoT capabilities, create thousands of jobs and billions of dollars in value for consumers, all while giving people more choice and more opportunity. 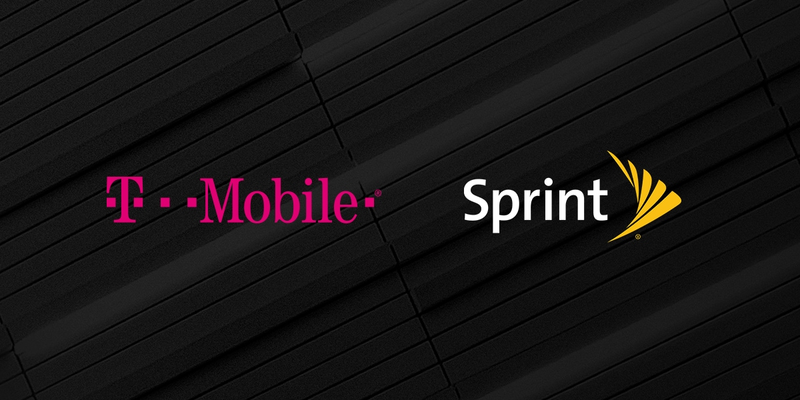 This will only be possible as the New T-Mobile – a bigger, stronger and even more competitive version of the Un-carrier today. Only then will consumers across the country be able to benefit from a nationwide connected, mobile 5G world.